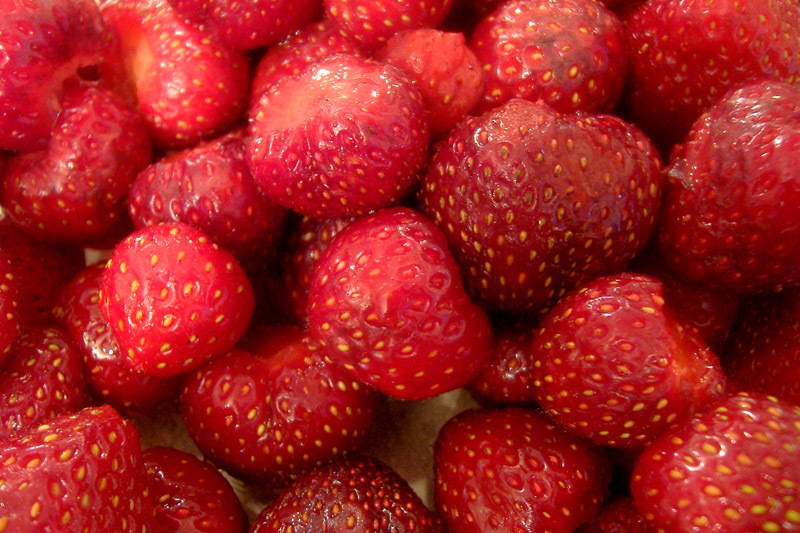 It was recently strawberry season here, and they were outstanding. Not like the big red plastic toys from California that are available anytime; these were small, dark, and almost exotic in their flavor. After we'd had our fill of fresh ones, I macerated some with sugar, balsamic vinegar, five spice powder, chile, and mint, and put them over store-bought pound cake. By the way, can it possibly be worth making pound cake at home? The stuff from the supermarket was nice and moist; it's really just a vehicle for the berries. Maybe it could have used a healthy splash of rum or whatever spirits go with strawberries, to really take it home. No picture of the plate, as I got carried away with the whipped cream.